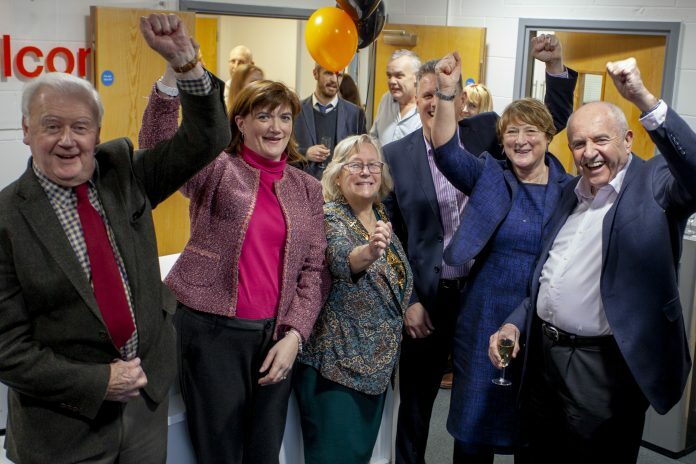 DeltaNet International’s new headquarters was officially opened on February 1st by local MP, Nicky Morgan. The East Midlands-based eLearning provider held a ceremony on-site at The Technology Centre, Loughborough, with members of staff and special guests in attendance to mark the occasion. The new and larger office space will accommodate the firm’s ambitious growth plans over coming months – with expectations for its 36-strong workforce to almost double across the next 24 months. The event culminated in a champagne toast given by MD, Darren Hockley; this was served with canapés provided by local, family-run caterers, Greens. “Our new offices will provide us with a platform for the next stage of growth”, said Hockley. “Being so close to Loughborough University, and its production line of great talent, was always really important to us. Attracting talented people is the biggest challenge we face today, but we are fortunate to work on cutting-edge projects for some of the world’s best known brands. Also in attendance to mark the company’s relocation was the Mayor of Charnwood, Councillor Christine Harris, and Vice President of Loughborough Chamber of Commerce, Martin Traynor. Speaking about the businesses’ relocation, the Mayor said “It’s superb to see a local success story remaining close to home.